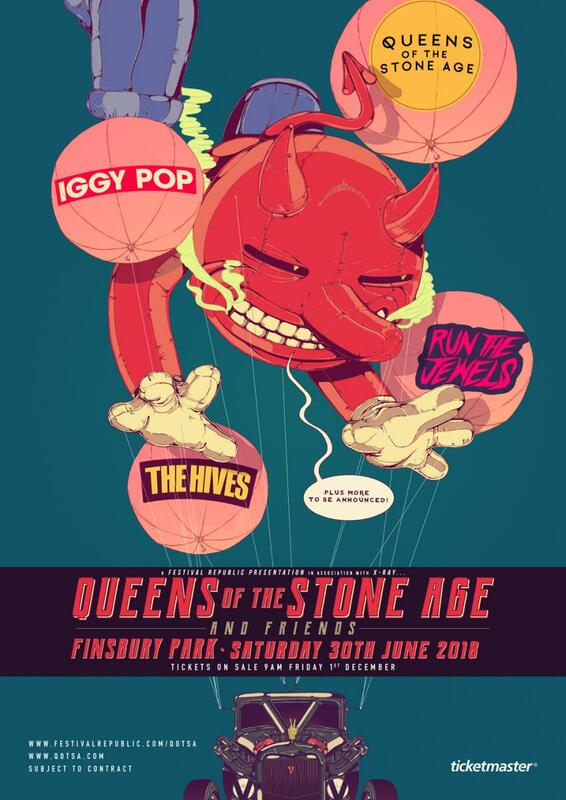 Queens Of The Stone Age have announced details of a huge outdoor gig at Finsbury Park in north London for next summer, with major acts such as Iggy Pop and Run The Jewels in support. The desert rockers, who released their seventh studio album Villains earlier this year, will play in front of 40,000 fans on June 30th 2018, in an event that promises to be one of the biggest rock shows of the summer that was announced on Wednesday morning. The group are currently in Britain, on the European leg of their Villains World Tour, having completed two shows in the capital and one in Manchester, with a show at Edinburgh’s Usher Hall set for Thursday. The Finsbury Park gig, however, will be their only British date in 2018. 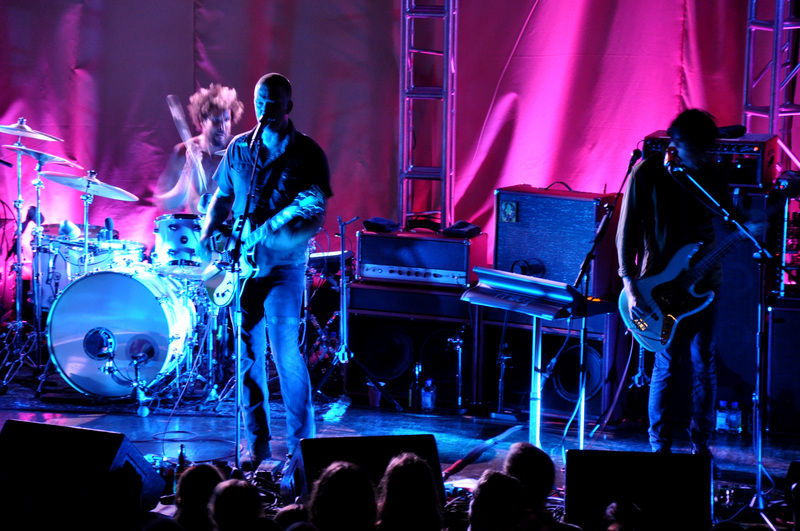 Queens of the Stone Age, led by Josh Homme, will be supported on the bill by punk legend Iggy Pop, with whom Homme and the group’s guitarist Dean Fertita collaborated on last year’s album Post Pop Depression, a phenomenally well-received record. Iggy Pop last performed at Finsbury Park over two decades ago, and hasn’t played in Britain since his sold-out show at London’s Royal Albert Hall back in May 2016, where his backing band consisted of Homme, Fertita and Arctic Monkeys drummer Matt Helders. 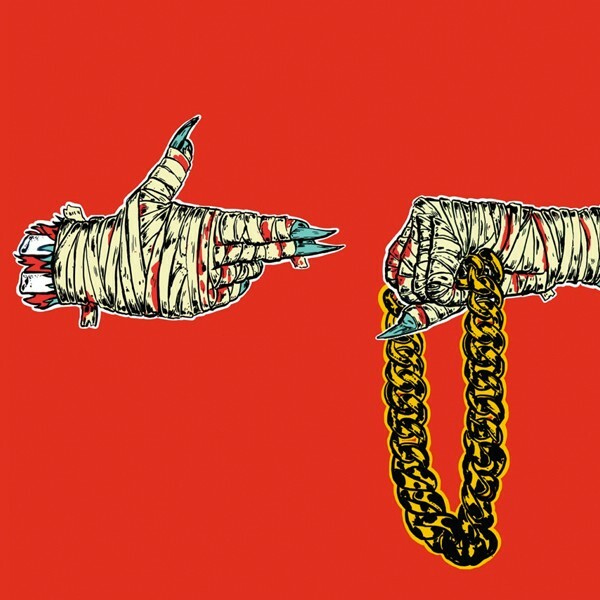 Joining Queens of the Stone Age and Iggy Pop on the bill are acclaimed hip-hop duo Run The Jewels and Swedish garage-punk veterans The Hives. Apparently more acts are due to be added to the bill in the near future. Check out the flyer for the show below.